Item # 316140 Stash Points: 2,995 (?) This is the number of points you get in The Zumiez Stash for purchasing this item. Stash points are redeemable for exclusive rewards only available to Zumiez Stash members. To redeem your points check out the rewards catalog on thestash.zumiez.com. 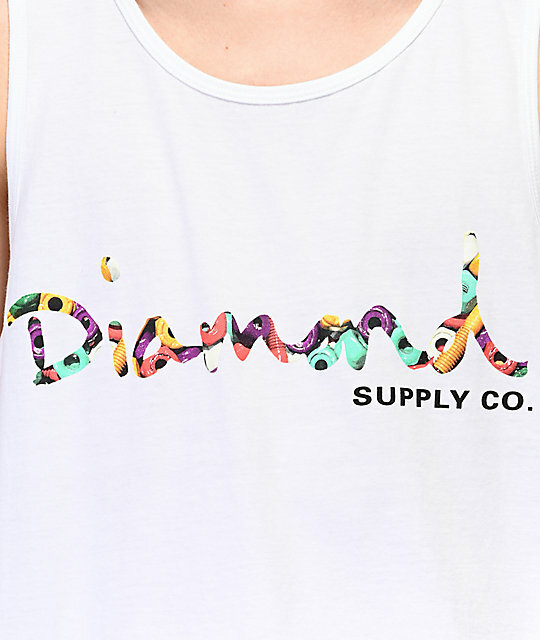 Ready up for warmer weather with the Bolts Script White Tank Top from Diamond Supply Co. 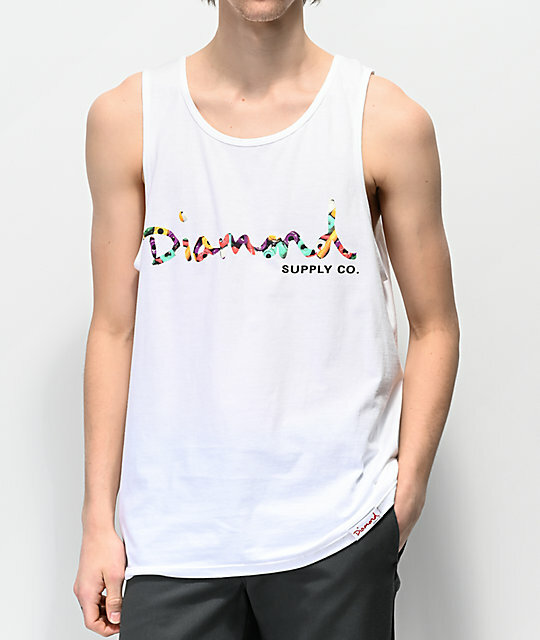 This relaxed fit tank top comes in a crisp white colorway with screen-printed logo script made up of colorful skate hardware, creating a summer look that represents your favorite skate brand, Diamond Supply Co.
Bolts Script White Tank Top from Diamond Supply Co.
Screen printed logo script on the chest.